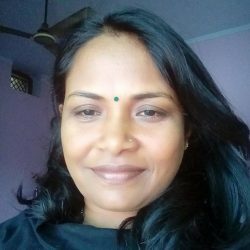 Anita Yadav is the Senior Program Officer associated with RGMVP, an organization committed to disrupting deep hierarchies necessary for women’s empowerment and poverty reduction in Uttar Pradesh, India. For over 12 years she has fought for gender equality through different government and NGO programs. Anita enacts her leadership skills by leading one of the most poverty prone regions under RGMVP and has federated 10,000 rural women through women lead community federation. She completed her Global Change Leader certification course from the International Institute for Women Leadership at the Coady International Institute at St. Francis Xavier University in Canada. She is a Ford International Fellow at the 92nd Street Y in New York City. In 2016, she was an Acumen Fellow in India. She is active as a Change Maker for Global Action on Poverty (GAP). Her development theories align with the belief “see what is strong within a community, rather than see what is wrong with a community.” This belief helps build communities with dignity. She has expertise in designing programs, participatory rural planning, capacity building of community organizations and gender mainstreaming. Her commitment to RGMVP has led to the strengthening and mobilization of thousands of self-help groups, which have helped numerous families come out of poverty in a short span of time. She designed and developed power weeder for weeding operation and also contributed in research for the development of women-friendly technology to reduce the drudgery of women in agricultural operation. Anita has developed a unique skill-set to understand issues around poverty and the empowerment of women using an empathetic lens. She was instrumental in designing an incubation center to train poor and marginalized women to become entrepreneurs to move beyond simple sustenance driven activities and encourage wealth creation among the poor. 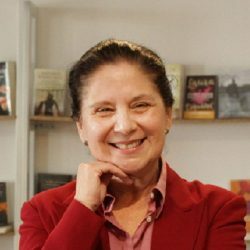 Maria Zaghi, of Guatemala, has had over a 30-year experience in the implementation of projects and entrepreneur efforts related to ICTs in Latin America. She has been the leader for serveral ICT and innovation agendas in Guatemala including the e-Guatemala strategy as an resaercher of the Information Committee in the National Science Council, he National E-commerce and collaborates with the current Innovation National Agenda. She has been a senior consultant for local projects in Guatemala related to financial systems, energy sector financial systems, Internet, e-commerce, e-education, e-inclusion, e-government, among others, but she has also been an international consultant for projects related to ICTs for the Inter-American Development Bank, World Bank, the European Community, ICDF (Taiwan), World Summit Award, US AID programs, Gateway Development Foundation, the Nature Conservancy, Non-Aligned Movement Centre for South-South Technical Cooperation (Singapore), GAIA (Spain), Pan-American Health Organization, Exxon, HLB and Price Waterhouse Coopers. She is currently involved in several projects related to e-commerce, commercialization and incubation of Infrormation Techncology companies based on Guatemala`s first technology park in the Central American region, Campus TEC and with Grafiaetc a spinoff that works with technology commercialization services. 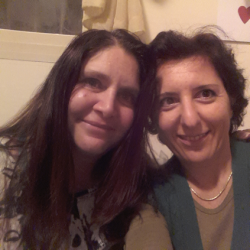 Shlomit Israeli Cohen and Yvette Nahmia Messinas first met at a co-counseling workshop some twenty two years ago. Over the years their friendship has grown deep roots and they have co-created women’s circles and events in Israel and Greece. Women in Power, Jerusalem is their latest co-created project, each bringing to the fore their respective strengths. Shlomit serves as the facilitator of our first workshop titled Creating the Reality you Desire, and Yvette as the marketing and advertising person. Yvette blogs in the Jerusalem post on women, Jerusalem and co-existence at http://www.jpost.com/Blogger/Yvette-Nahmia-Messinas and Shlomit has a private practice where she offers consulting and hoponopono workshops. Ingrid Hohimer McNicoll, M.D. – Emergency Physician Kaiser Permanente Napa- Solano Region – Ingrid Hohimer McNicoll has a Bachelors of Music from University of Southern California where she studied vocal jazz as a Resident Honors Program scholarship recipient. She then went on to obtain her M.D. at Johns Hopkins School of Medicine. After finishing her residency in Emergency Medicine at St. Lukes/Roosevelt Hospital in NYC, she accepted a faculty position at Mt. Sinai serving as the residency site director at Jersey City Medical Center. While building a career in medicine, she was a member of the Baltimore Symphony Chorus and New York Choral Society performing in Carnegie Hall and Lincoln Center under various conductors including Placido Domingo. After meeting her Canadian husband, she was an Attending Physician at Champlain Valley Physicians Hospital, frequently traversing the US/Canadian border. During that time, she performed regularly with her band, Pure Blue, recording a cd titled “Scratching the Surface.” In 2010 she relocated to Northern California where she is a Senior Partner at Kaiser Permanente. She currently resides in Napa, California and enjoys attending local theater and music performances with her husband and daughter. 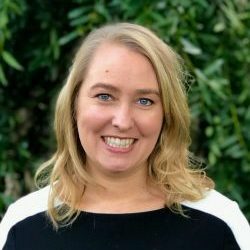 Julie Richardson-Savoia – Owner and Design Associate at Shawback Design Interiors – Julie Savoia has a BA in Journalism, with an emphasis in online storytelling, from San Francisco State University. Along with a background in journalism, Julie is a successful entrepreneur starting a bespoke clothing business called Mockingbird Clothing Co. which led to the opening of a fine arts brick and mortar cooperative called IndieMade. She currently runs a family owned Interior Design business in Napa, Ca. with her husband. Julie is a design associate and vendor liaison – working directly with skilled craftspeople and artists to produce custom furniture designs for her clients. Julie is also in the process of starting a decorative lighting company. 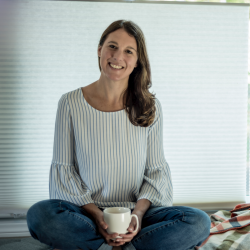 When Julie is not operating her businesses, she is happy spending time with her husband and two children camping under the stars and rafting wild rivers. Cheri Piscia-Nichols, Owner and Founder of Liv Rejuvenated – Cheri Piscia-Nichols is the Owner and Founder of the nutrition consulting business, Liv Rejuvenated, where she is passionate about inspiring and empowering her clients to achieve their health and wellness goals using sustainable nutrition and lifestyle practices. She promotes self-advocacy and encourages her clients to be active participants in their own health. Cheri is also a professional member of the National Association of Nutrition Professionals (NANP). Prior to pursuing a career in nutrition, Cheri worked for 15 years in the biotechnology industry, and was an early team member at a successful start-up biotech company where she managed global clinical trials, co-authored 2 research papers, and was the lead on two phase 3 trials for compounds that went on to receive FDA approval to go to market. When Cheri is not working with clients or researching current nutrition and health topics, she can be found planning her next adventure with her husband and 11-year old daughter, Olivia. 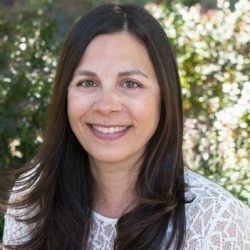 Cheri is a Nutrition Consultant from Bauman College, Board Certified in Holistic Nutrition® (candidate) through NANP, and holds a BS with Honors in Biological Sciences from University California, Davis. 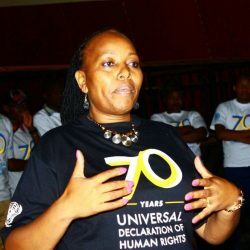 Salome Nduta is the Protection Officer with National Coalition of Human Rights Defenders -Kenya (NCHRD-K), a national organization established in 2007 and incorporated in the Republic of Kenya as a Trust. NCHRD-K is committed to strengthening the capacity of Human Rights Defenders (HRDs) to work effectively in Kenya and to reduce their vulnerability to the risk of persecution. Salome’s main focus is working with Women Human Rights Defenders (WHRDs) who face unique challenges in their workplace, such as sexual harassment, patriarchal social structures, accusations of attempting to subvert traditional customs and social norms, and threats of violence, especially in urban slums and rural areas of Kenya. For over 15 years, she has advocated for rule of law and respect for human rights in Kenya through different human rights organizations. Initially via use of art, she was among a team of twenty-two young activists who used theatre to advocate for a new constitution which was enacted in 2010. She is a trained community organizer and has used her knowledge and skills in organizing groups in informal settlements to advocate for land rights and access to basic services like clean water and sanitation in the informal settlements of Nairobi. She is an Alumni of Global Change leaders program having completed a Global Change Leader certification course from the International Institute for Women Leadership at the Coady International Institute at St. Francis Xavier University in Canada in 2016. She is on the board of trustees of Haki Africa a human rights organization working in the coastal region of Kenya. 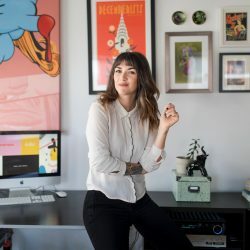 Additionally, she is on a team of 28 Wikipedia editors whose focus is to bridge the internet gap between males and females by working towards bringing forward stories of women on the internet. Currently, she is working to establish two networks for human rights defenders, a network for WHRDs and a network for HRDs working in Nairobi to focus on developing sustainable interventions to HRD work with a focus on economic empowerment, documenting and packaging stories of HRDs, wellness and mentorship and capacity development for HRDs.